As anticipated, the all new Elka UTV stage 1 and stage 2 shocks are a HUGE success...particuarly the Stage 2 with its internal reservoir and adjustable pre-load and rebound. Sooooo, we have descided to assemble the industries most affortable UTV mid-travel systems for the Yamaha Rhino, Kawasaki Teryx, Can-Am Maverick and Commander and the Polaris 800 and XP 900. 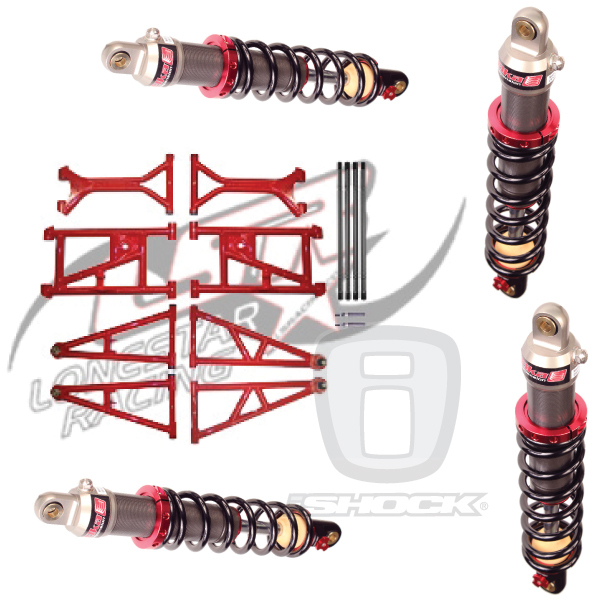 We have these complete custom build and tuned suspension systems on sale right now for as low as $3229 with FREE shipping!